Transmissions today are extremely complex. 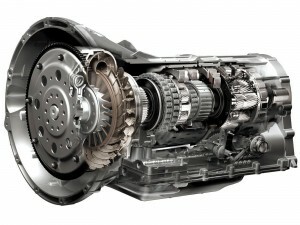 The transmission is the most complicated system in your car. Most common symptoms your car will have, if there is a problem with the transmission, are the Check Engine Light, Fluid Leaks, Slipping Gears and Erratic Shifting. Should your “Check Engine” light come on it is important that you have it diagnosed immediately. The computer monitors every system in the car and will turn on the “Check Engine” light when it detects a problem. When the computer senses a problem it will set a code and revert to a limited operating condition. Having the proper amount of transmission fluid is essential for the transmission. At High Grade Automotive, our experienced technicians will identify the origin of the leak. Leaks, many times, do not indicate a serious problem; however, leaks may be the result of a more serious mechanical problem. When your engine is racing and the transmission is lagging behind causing the transmission to slip or you are experiencing erratic shifting, it could be doing this for a variety of reasons. When you are faced with these types of symptoms, you need a qualified transmission repair technician. At High Grade Automotive, our trained and qualified technicians can thoroughly evaluate your transmission by performing a FREE diagnostics and provide you with the information needed to make a proper diagnosis.